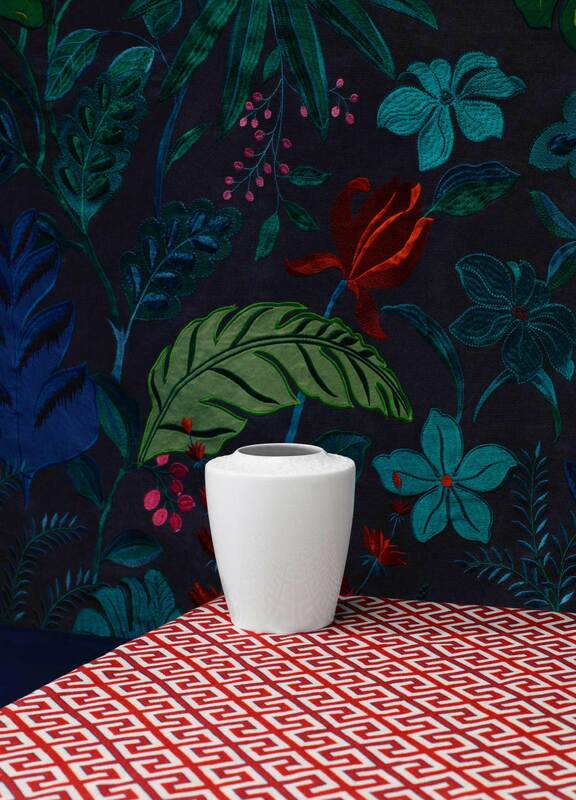 Since its beginnings, porcelain has always played a crucial role in the making of sophisticated interiors. As early as the 13th century, porcelain items were highly coveted in the royal courts of Europe and were imported from China at extravagant costs. Towards the end of the 17th century, the practice emerged of designating a room just for one’s porcelain collection, even in smaller aristocratic residences. By the time European hard-paste porcelain was invented in 1708, this prized good was an absolute must in every palace and château. In those days it was less the selectness or artistic calibre of the porcelain that was thought to impress, but rather the quantity of rare objects in a collection. A testament to this is Dresden’s Japanese Palace, commissioned by Augustus the Strong to house his extensive porcelain trove. As the oldest porcelain manufactory in Europe, MEISSEN has played a decisive role in the development of a European dining culture and in the decoration of royal palaces ever since its founding by Augustus the Strong in 1710. 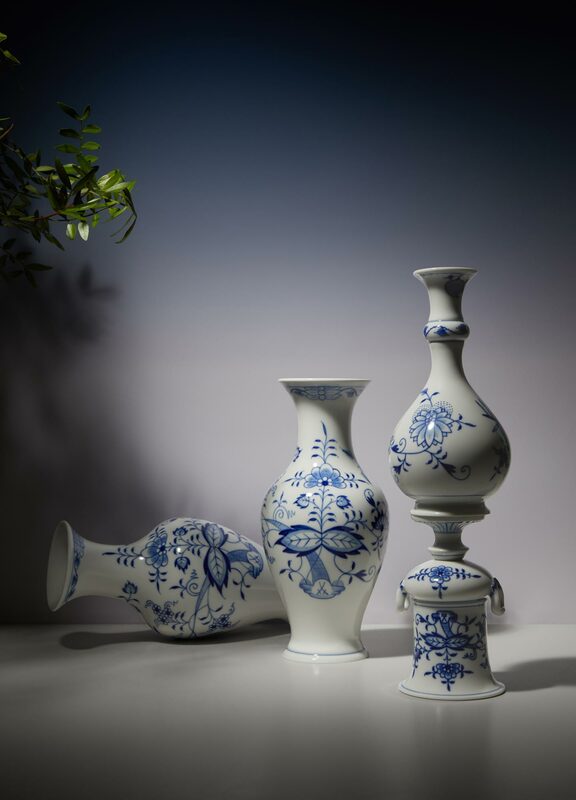 With the multifaceted Home Deco collections, MEISSEN bridges the gap between tabletop and interior design, transposing three centuries of design traditions and artisanal expertise into distinctive pieces for the modern home. Made from the finest porcelain, each embodies an authenticity that only MEISSEN with its 300 years of tradition can attain. With “Antarctica”, Meissen product designer Zhuoyu Hou has created a versatile tableware collection that adds a bold new design vocabulary to the manufactory’s repertoire. For the collection, Hou was inspired by the frozen landscapes and fauna of the Arctic: penguin shapes are transformed into pitchers and vases; ice floes become shallow bowls, candleholders, and cups. With her designs, Hou explores the possibilities of porcelain design and manifests tensions by juxtaposing soft curves, asymmetries, and sharp edges. 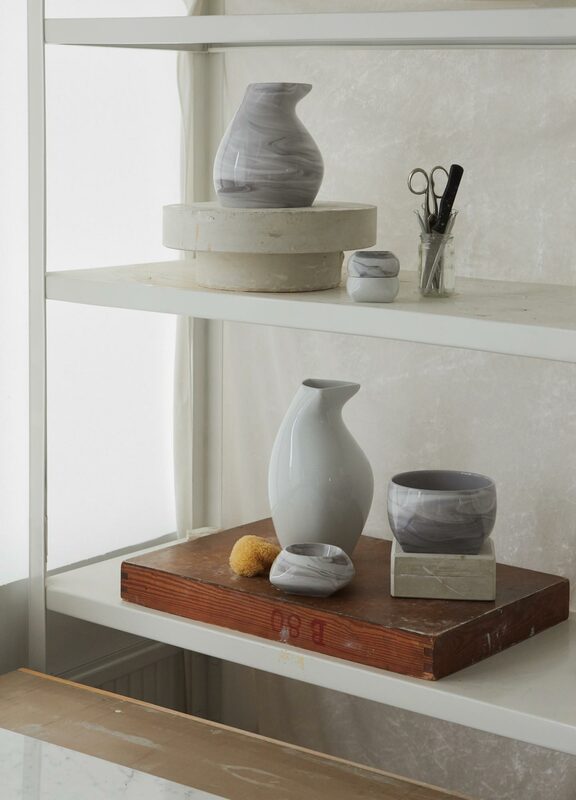 It is this combination of form and function that makes this series so unique – both as a collection and as individual pieces. 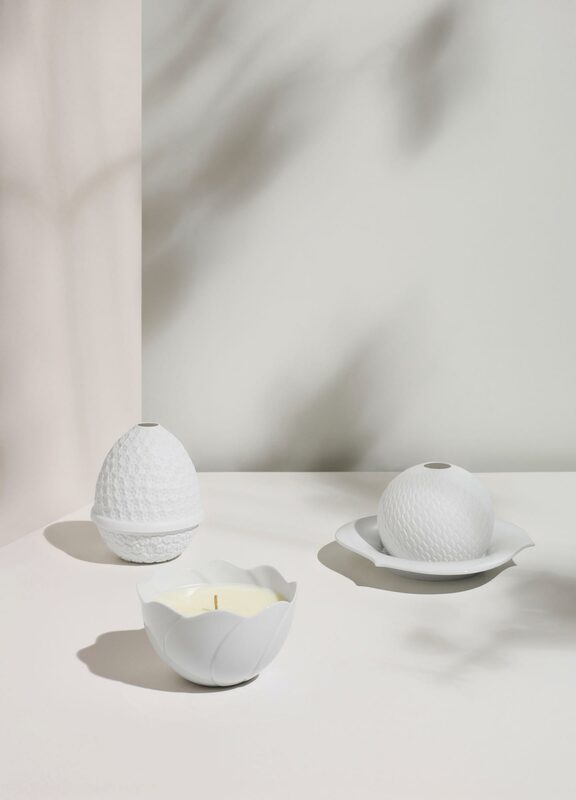 In 1996, after three years of artistic development under the aegis of Meissen designer Sabine Wachs, the new “Waves” design for tableware and interior objects was introduced by MEISSEN. In this collection, Wachs brings a dynamic wave pattern to vases, candlesticks, table lamps, dishes, and writing sets with letter openers. With clear contours and the brilliance for which Meissen porcelain is famous, the pieces from Meissen’s “Waves” collection bring an energetic, nautical touch to a wide variety of interiors. The oldest elements of Kaendler’s “New Cutout” design were created around 1730 during the manufactory’s first artistic golden age. For more than 40 years, Kaendler shaped the reputation of the manufactory as its artistic director. 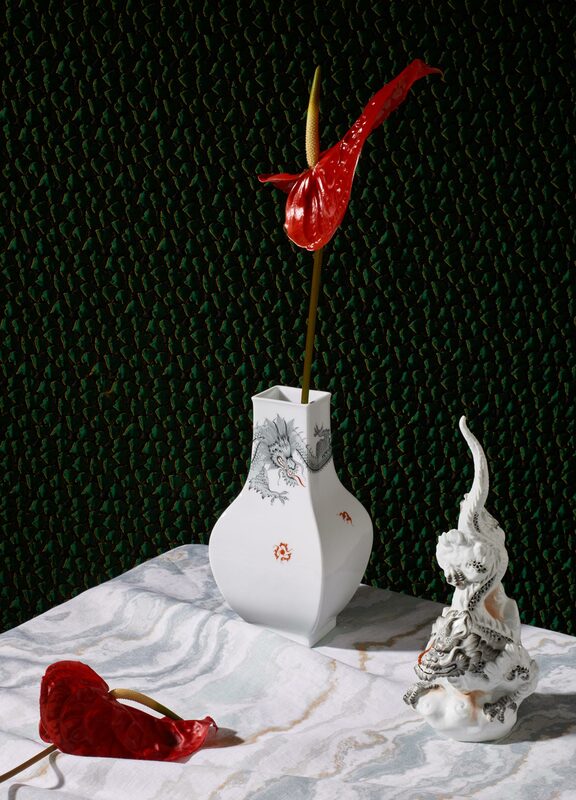 Considered almost modest and unobtrusively playful in its day, the “New Cutout” series is home to a number of famous decorative artwork, such as the “MEISSEN Rose” and the “Onion Pattern”. 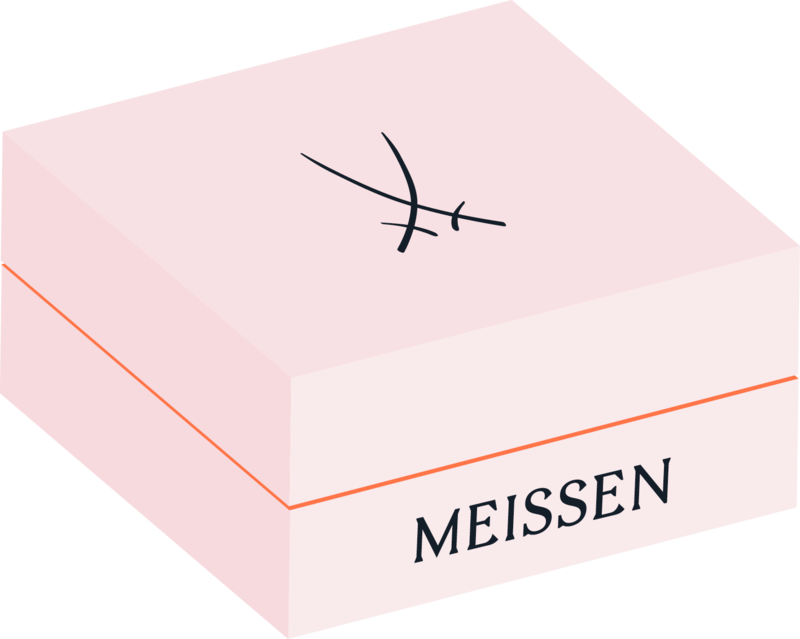 “MEISSEN® Cosmopolitan” pays homage to the splendour of modern Grand Hotel silverware, presenting an extensive tableware series in crisp and clear design. More than ten different decorative styles are realised within the collection. Mixed among each other, they offer countless table setting options. Alongside its classic white variant, showcasing Meissen porcelain’s coveted lustre, the collection also presents a thoroughly novel design approach – gold- and platinum-enamelled surfaces, and the more subdued “Mesh Structures”, all applied by hand. 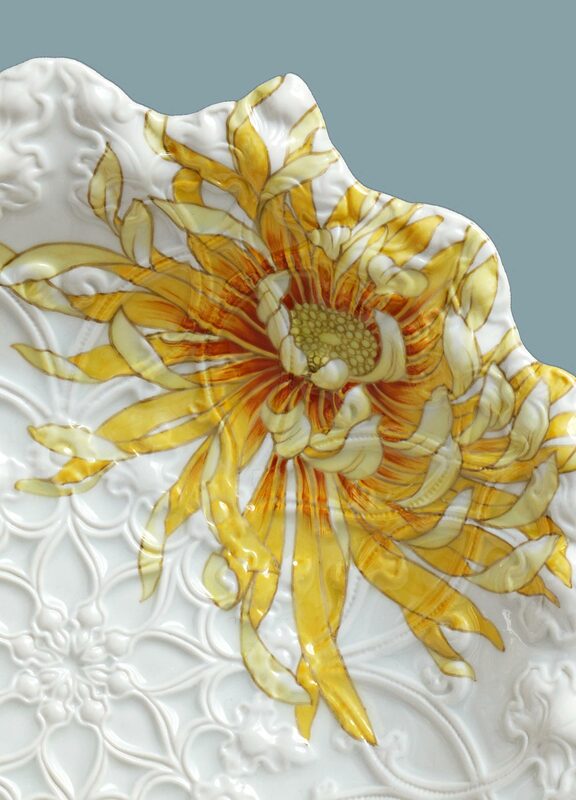 Meissen’s extensive repertoire – ranging from decorative patterns and sculptures to unique works of art – testifies to the manufactory’s impact over the ages. It is at once an expression of a way life and an appreciation for craftsmanship and tradition. With its sleek design and timeless elegance, “N°41” offers a modern counterpoint to Meissen’s opulent historic table services. On it our showcased four striking new decorative patterns, both novel creations and contemporary renditions of great decor classics, that once again attest to Meissen’s endless font of creativity and innovation. 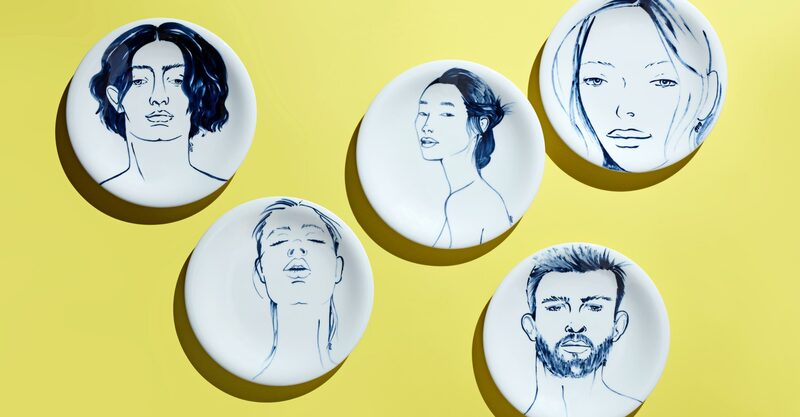 With “Faces”, Otto Drögsler has created a stylish wall plate collection that offers a contemporary take on the traditional genre of Meissen porcelain interior décor. 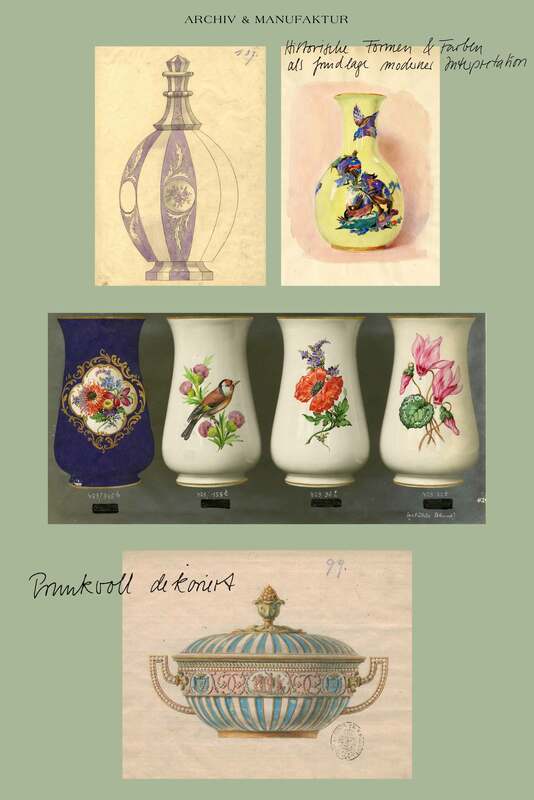 In the 19th century, the Meissen manufactory began to produce a variety of historicist porcelain pieces. Decorative dishes, candleholders, and boxes were designed in the style of bygone eras. 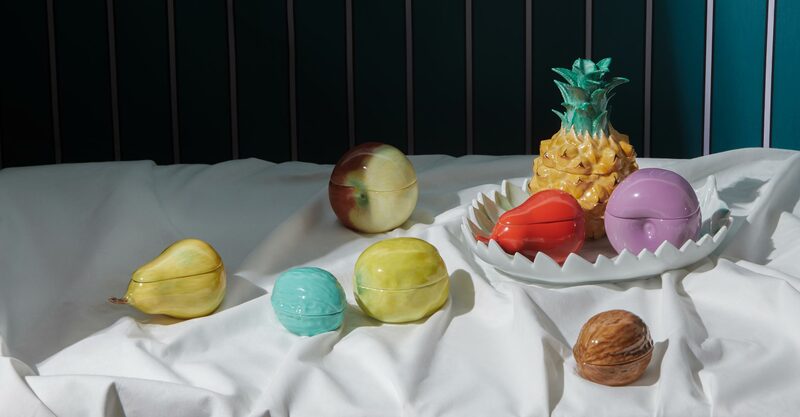 For the “New Splendour” collection, these historic designs have been reissued and reinterpreted with modern decorations by Otto Drögsler – in the great tradition of Meissen porcelain. While going through the Meissen manufactory archives, Otto Drögsler was struck by a series of Baroque boxes in the form of exotic fruits. With “Orangery”, Drögsler has added to the original Baroque artwork two new decorative designs: monochrome and glossy gold.